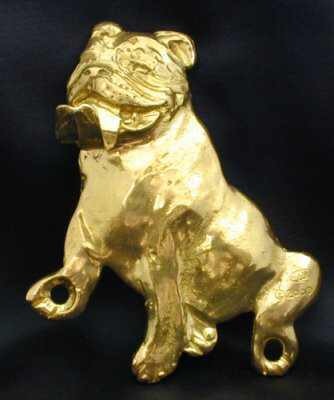 American Bulldog hand cast custom bronze dog breed hook. Dimensions (height x width) given are approximate. 2 1/4" to 4" with a tail, paw or hook extending about 2" - 3"; to be used on flat surface. Oval screws are included and will fill the holes in the paws of bases. Oval head screws are included.